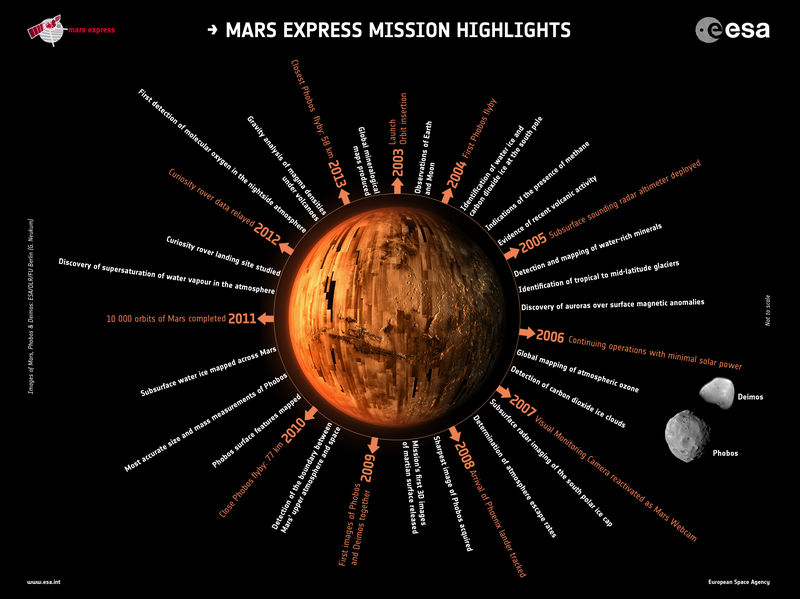 A super-nice graphic showing operations and science highlights from ESA’s Mars Express mission, which celebrated 10 years since launch on 2 June 2013. The central image of Mars is composed of images taken by the High Resolution Stereo Camera (HRSC), which has mapped around 95% of the planet’s surface. The images of Phobos and Deimos were also taken by the HRSC.